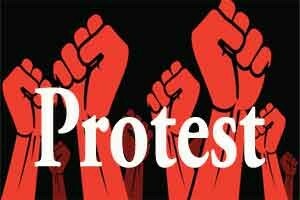 Kerela: Government doctors in Kerala have launched an indefinite strike, protesting against the suspension of a colleague and the extension out-patient (OP) time, putting patients to hardship. The association called for the agitation to protest against the government decision to extend the OP time in hospitals from 9 AM to 6 PM and the suspension of a doctor, who refused to attend to work following the increase in OP timings. A statement from Kerala Government Medical Officers Association (KGMOA) said only the casualty wing would function during the strike and in-patient treatment would be provided only till April 18. There would not be any new admission, it said, adding only emergency operations would be performed. The KGMOA further stated that at least 4,300 doctors participated in the strike. The government, however, maintained that only a section of the doctors was participating in the agitation. KGMOA state secretary, Jithesh V also warned that if government launched any action against them, they would further intensify their agitation. He further alleged that government was not doing enough to ensure prevention and control of infectious diseases. According to the association, they were not against the increase in OP timings but wanted more doctors to be posted. TOI reports that the doctor was suspended for not appearing for OP duty in the afternoon though they were supposed to take shift duties to ensure OP department is functioning between 9 AM to 1 PM and 2 PM to 6 PM. In a recent Facebook post, Health Minister K K Shylaja claimed that the agitation was to defeat the government’s ‘Ardram Mission’, which envisages basic facilities to all hospitals in the State and making government hospitals patient-friendly. As part of the mission, the primary health centres are being converted to family health centres to provide comprehensive health facilities to people, the Minister added.Accordingly, instead of one doctor conducting OP from 9 am till 2 pm, two doctors would now conduct OP clinic in two shifts, from 9 am till 1:30 pm and 1:30 pm till 6 pm, while a third doctor attends to field duties. “The duty hours of a pharmacist, a lab technician, and a staff nurse appointed in the same FHC is eight hours, while the working hours of doctors are much less. According to the KGMOA, their members cannot sit in evening OP and insist that evening OP may be conducted by the doctor on contract or the doctor appointed by the local body. We have evolved a rotation system and schedule for the FHC so that the work of every person is systematic, quantifiable, and there is better accountability,” a senior health official confirmed while talking to the Hindu. Condemning the decision, Jithesh told the New Indian Express, “It was with the aim of bolstering the preventive health measures in the state that the Ardram Mission was launched. But what has happened now is the authorities concerned only limit it to extending the OP time. This is totally unscientific and is condemnable,” he added. The government has warned that if the doctors continue to abstain from work, stringent action would be taken.